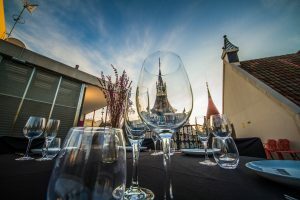 Explore the asymmetrical architecture and furniture of this unique house and experience a journey through images of the natural world that inspired Gaudí as you admire the roof terrace chimneys. The Origins is a unique immersive experience, full of surprises. 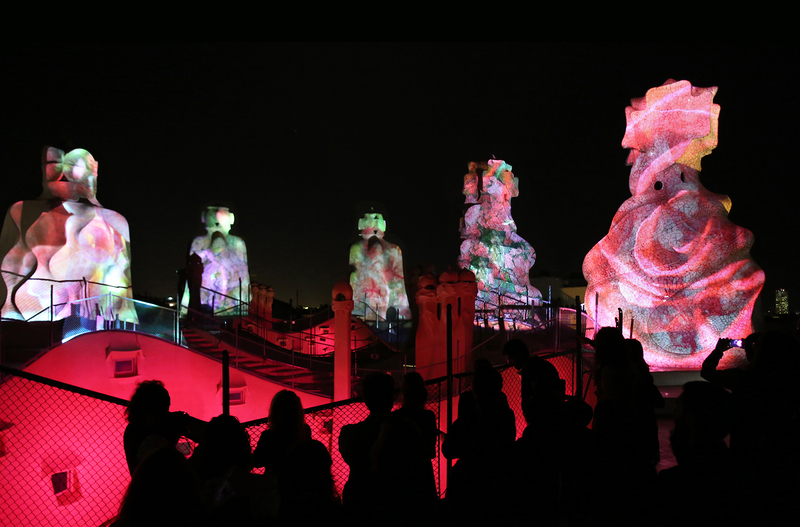 An audiovisual show and special lighting dance across the chimneys and terrace, accompanied by a rousing soundtrack. 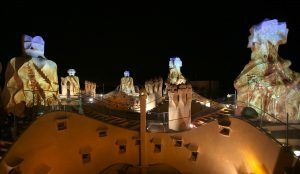 Casa Batlló takes on a new life after dark. 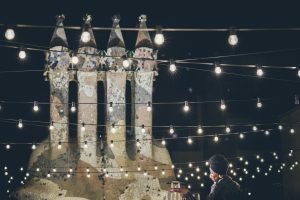 As the sunset sky lowers its darkening curtain, the shadows and fading light catch the details in Gaudí’s carefully sculptured terrace. Evening visits are an intimate affair, with music and drinks to set the mood for a truly magical and elegant night. 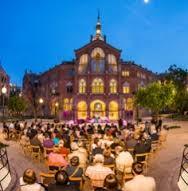 Every Friday night the terrace of this emblematic building becomes an open-air stage where you can enjoy live music. A special evening itinerary includes a visit around this Modernist house, finishing with a glass of cava and two montadito tapas. Some of the Modernist buildings of the Hospital of Sant Pau created by the architect Domenèch i Montaner have now become a heritage centre. The attractive gardens are a perfect setting for these World Music concerts, every Thursday from 21:00. This magnificent top floor terrace bar has beautiful panoramic views across Port Vell and the sea, plus refreshments, great food and music. Every Wednesday from 21:00 you can immerse yourself concerts that span the spectrum of jazz, from Brazilian and electro to tango and pop. Programme on p19.